Thumbs up for down under! Michael Rizzo conquers his fear of long-haul flying and jets off to Sydney in Australia on the remarkable double-decker Airbus A380. One of my recent contacts with the vast continent that is Australia was via the television series Outback Truckers, customarily screened here in Malta on Discovery Channel. The series basically looks at the Australian outback road-transport industry, focusing on a selected number of truck drivers, otherwise known as truckers, as they drive their monster trucks (possibly the biggest ever seen on this planet!) along some of the toughest and most inhospitable terrains in Australia. Visiting Australia – whether to any of its modern cities or to its wild outback – somehow never figured on my “to do” list. I don’t say this because the country never intrigued me. It did… and big time too. But when you’re as uneasy a flyer as I tend to be, flying long distance somehow never seems to crop up on such a list. 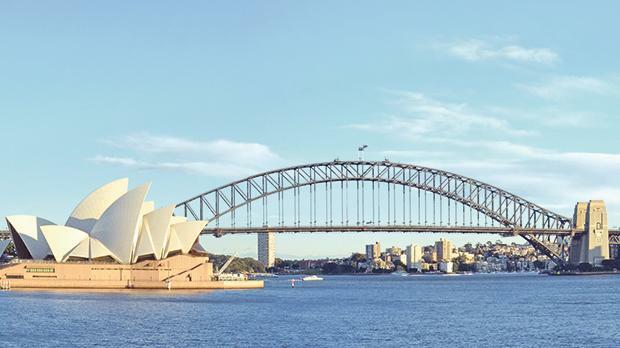 My “uncomfortable” relationship with long- haul flying was however put to a serious test one recent sunny morning when an email came through inviting me on a brief visit to Sydney, courtesy of Emirates Airlines. A quick glance at the email said it all… Malta-Dubai-Sydney… close to 23 hours of flying… four days alone in the city… Sydney-Dubai-Malta… another 23 hours up in the air… my first reaction was “no way can I handle that”! I closed the email and got back to my daily chores. As the days passed by, my interest in this once-in-a-lifetime opportunity to spend a few days “down under” got the better of me and before I knew it, I accepted the invitation. 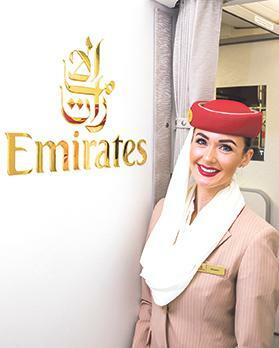 Two weeks later – still in awe of myself for having taken up the challenge of long-haul flying – I found myself boarding an Emirates flight from Malta to Sydney via Dubai. I flew to Dubai on Emirates’ smart Boeing 777-300ER and then on to Sydney on their amazing double-decker Airbus A380-800 (if there exists a better word to describe “amazing”, do go ahead and use it). The same aircraft were used for the return trip. While my flight to Sydney via Dubai was in Economy Class, my entire return flight to Malta was in Business Class since I wanted to experience both levels of travel transport. I hadn’t flown Emirates for a good number of years but the minute I was back on one of their planes, I remembered why I am such a big fan of this airline. Often referred to as the ‘golden standard of civil aviation’, I have to admit that, to date, Emirates has never disappointed me. The jewel in their crown is certainly the Airbus A380. Airplane-wise, it’s huge and majestic. I got my first sight of it when we landed in Dubai en route to our change-over. Sitting on the runway, it looked just like a Rolls Royce neatly parked next to a bunch of Smart cars. 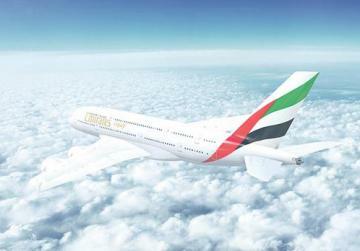 The Airbus A380 offers three levels of travel comfort – Economy, Business and First Class. I purposely use the word “comfort” as they all offer exactly this… a travel experience that is ultimately very comfortable and, needless to say, extremely safe. The A380’s lower deck is taken up by Economy Class – 399 seats in all with each offering approximately 85 centimetres of legroom, which is pretty good when compared to most other airlines. The upper deck – with its grand staircase – leads you to Business Class. This is a different world altogether and if you’re flying long-haul, the additional cost for moving upstairs could be very tempting. The comfort in Business Class is well and truly on a different level… you actually do wonder whether it could get any better. There’s a lot more room when compared to Economy Class, though as I stated earlier, Economy is pretty damn good too. Each seat in Business Class – 76 in all – has a pitch of some 120 centimetres which can be reclined to around two metres when converted into a bed at the simple touch of a button... so basically turn onto your side and you’re off to dreamworld. The configuration of each seat in Business Class means you are never too awkwardly close to the person right next to you, nor do you have to climb over anyone to get to the ever-so-smart toilets. The upper level also comes decked with a well-stocked bar towards the rear end of the plane, with comfy bar stools and plush sofas (open to all First and Business Class passengers). If you’re feeling somewhat extravagant, you may also opt for one of the 14 closed mini-suites in First Class at the front of the upper deck, all of which come with their own private pod and all the bells and whistles provided via Business Class. Emirates, it must be said, is well and truly a top notch airline. Nonetheless, a near 24-hour flight from Malta to Sydney (with a changeover in Dubai) is still an incredibly long time to be seated in a plane, and while I did doze off momentarily from time to time, real hourly-long sleep was altogether elusive. And this is where the subject of food and entertainment on an Emirates flight comes in… both of which make for a very enjoyable and pleasant flight experience. Food first…. while Economy passengers enjoy some far better food options when compared to other airlines that I have travelled with in the past, Business Class meals (which also include some very healthy options), are in a league of their own. 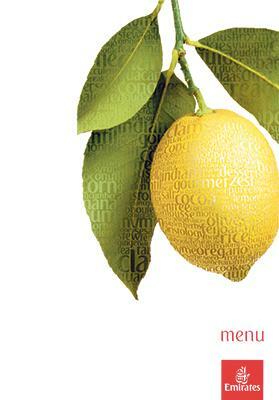 Served on fine tableware with crisp white linen, dishes are varied and include both traditional and European fayre. Complimentary drinks include Dom Perignon Champagne and a vast selection of premium spirits and fine wines. It simply doesn’t come any better. 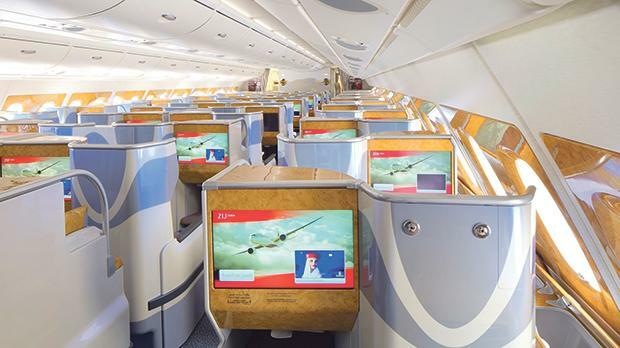 Entertainment next… all Emirates seating comes equipped with ICE (Information-Communication-Entertainment), an on-demand entertainment system that offers in excess of 3,500 channels including some of the latest movies, TV, games and music. The system is available to all passengers, though with a larger screen and better-quality earphones in First and Business Class. ICE is indeed a most welcome accompaniment on long-haul flights, and I say this as someone who unfortunately does not sleep much during such flights. 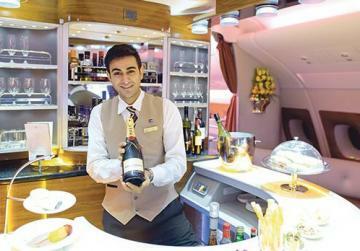 I thoroughly enjoyed the atmosphere of luxury surrounding my Emirates flights. You truly feel that you’re experiencing the premium sector of air travel. Even the crew on board – which included a lovely Maltese hostess on my way back home – go about their duties knowing that they are working for what is considered to be one of the best airline companies in the world. Besides being incredibly polite and impeccably dressed, you do get the sense that they are all immensely proud of their airline. Sydney is no small metropolis. Ideally, it’s not one to conquer in just under four days, especially when you consider that there’s also loads to do outside the actual city, such as visits to the World Heritage-listed Blue Mountains and Jenolan Caves, both national treasures. However, four days were what I had at my disposal and I did my utmost to make the best of it. It didn’t take me long to settle into my luxurious suite at the five-star Pullman Sydney Airport Hotel. This contemporary and utterly upscale hotel is conveniently located in the Mascot area of Sydney, five minutes away from the airport and a brief 15-minute train ride to the city centre (make sure to pick up an Opal travel card at its ever so convenient and economical… totally recommended). Throughout my stay, the weather was cold and rather wet, though this did not dampen my overall spirit... in all fairness, I found it to be quite a relief from the hot and humid weather back in Malta. I did as much as I could given the time available. The fact that I had to contend with some serious jetlag meant that I was usually back at my hotel by around 7pm… ready to shower and hop straight into bed. I visited as many of the city’s most prolific spots as possible. Circular Quay, right on the harbour with its busy sea ferry shuttles, is possibly the most visited area of the city, with the magnificent Opera House to one side and the spectacular Sydney Bridge to the other. Sydney Opera House is as majestic as it looks on postcards but it really is something else seeing it up, close and personal…. its different ceramic-clad angles are simply mesmerising. The Royal Botanical Gardens just a stone-throwaway were amazing too. I have to admit that I am not what one would call a botanical person (plants and their many varieties just don’t do it for me! ), though I simply couldn’t ignore the beauty and the bright colours that nature had to offer in such gardens. Darling Harbour, with its many high-rises, was great too… a buzzing place altogether albeit a tad too touristy for my liking. I did contemplate doing the Sydney Bridge Climb – where, together with guides, you get to scale the bridge from its topmost points – but irrespective of the fact that it is a safe and mind-blowing experience, I simply couldn’t get myself to do it (this could have had something to do with my fear of flying and heights in general). 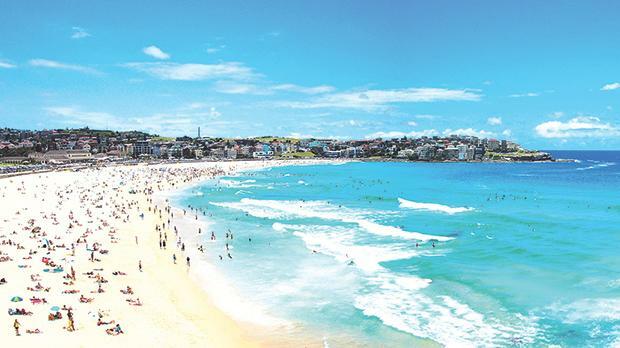 World-famous Bondi Beach – a typical surfers’ paradise and only a 30-minute bus ride out of the city centre – is also a must-visit location… if nothing else, purely for its sheer natural beauty. Before I knew it, it was time to return back to Malta. What can I say… short as it was, I simply loved my 5-star Emirates experience and my brief stay in beautiful Sydney. Definitely one to be repeated… maybe next time for a month or two and not just four days! 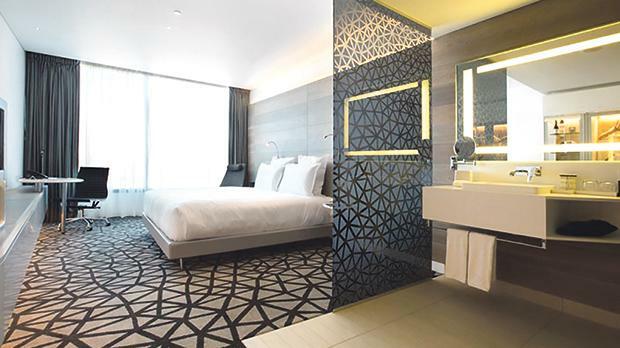 Superior King Suite at the Pullman Sydney Airport Hotel.